We have been collecting stories of AAC usage around the world and trying to figure out what are the factors that influence the success of an AAC intervention. One of the influential factors that we have heard in anecdotal reports from our customers as well as from leading researchers in the field is – giving continued access to an AAC system. Ideally, we want AAC users to have their communication device with them. Always. However, this is not feasible in many situations for a variety of reasons. For example, the device could run out of charge or the AAC user is at a beach or at a water park. In all these situations, we want to give continued access to their communicator and offer the power of communication. But we are unable to. We built a feature into Avaz to address this exact problem that our users face. In Avaz, you can create a replica low-tech version of the AAC user’s vocabulary and email it to yourself. Avaz users will have access to communication everywhere. If you would like to see a walkthrough of all the features of Avaz, you can click here to download the recording of our previous webinar. 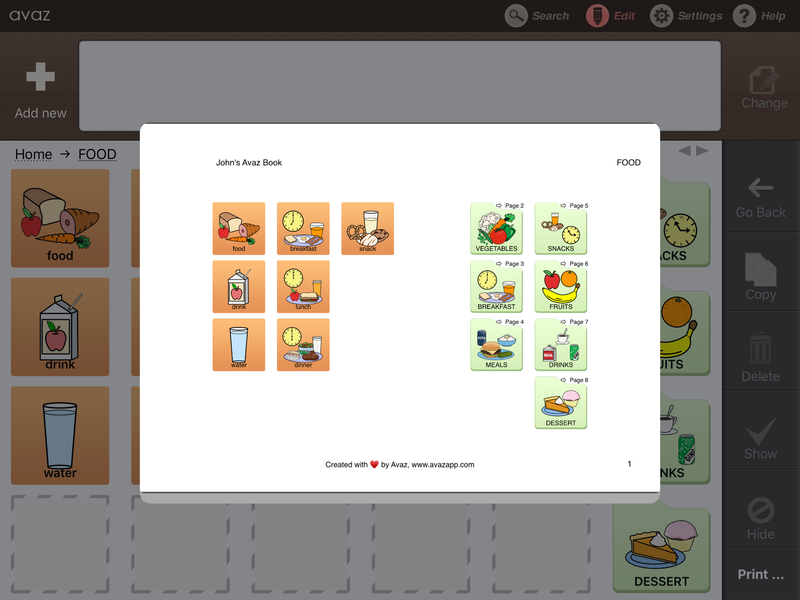 How Avaz helps parents/teachers to be more comfortable using AAC?